Nintendo has just announced a Pikmin side-scrolling action game for 3DS. Pikmin for Nintendo 3DS (its current working title) is due to arrive at some point in 2017. It’s the first new game in the series since Pikmin 3 arrived for Wii U, shortly after the console launched. 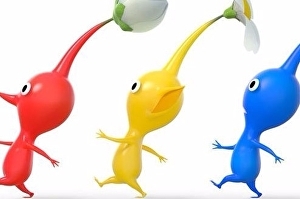 It’ll also be the first time a Pikmin game has been developed for a handheld.